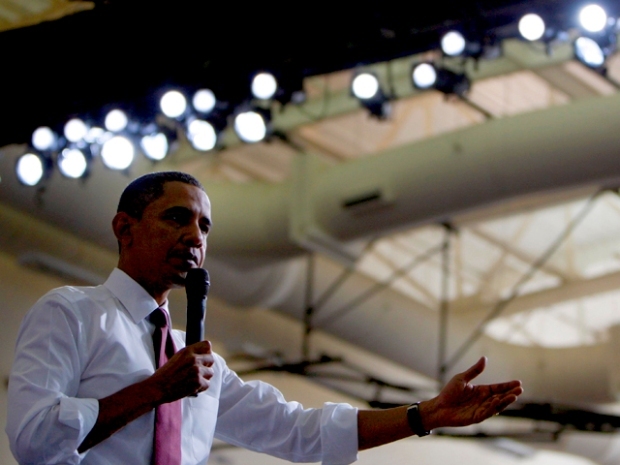 President Barack Obama is sounding more confident about hopes for an economic recovery. For the first time since taking office, President Obama is suggesting that some Americans may be overreacting to the nation's economic woes by dramatically ratcheting back their spending. "What I don’t think people should do is suddenly stuff money in their mattresses and pull back completely from spending," Obama told The New York Times in an interview published on the Web Saturday. "I don’t think that people should be fearful about our future. I don’t think that people should suddenly mistrust all of our financial institutions because the overwhelming majority of them actually have managed things reasonably well." In the same interview, conducted aboard Air Force One as he returned from a trip to Ohio on Friday, Obama flatly dismissed a question asking if he was a socialist, saying "the answer would be no." After the interview, he called back to say, " It was hard for me to believe that you were entirely serious about that socialist question." During the interview, the president sounded another upbeat note about the economy by suggesting that a surprising number of banks will pass so-called stress tests the Treasury Department is conducting to see if they could weather a prolonged and deepening recession. "I think that what you should see emerging there is an awful lot of banks that are in decent shape considering the circumstances," Obama said. "They’ve been managed well. They didn’t take undue risks. Obviously, they’re being hit like every business is being hit by the recession, but they can recover, and if they do need help, it’s going to be short-term help." Obama said "a handful" of banks might not pass the tests. He vowed that the administration would move aggressively to fix that problem. "What we want to do is to cauterize the wound," he said. Obama's comment about the stress tests was in line with what some banking executives have predicted in recent days. However, the president's statement was notable because he went further than his top aides have been willing to go. In an interview on Friday, one of his chief economic advisers, Christina Romer, declined to prejudge the outcome of the tests. The positive comments from Obama are sure to be seen by some analysts as a bid to boost consumer spending, which accounts for about 60% of U.S. economic activity and has fallen sharply in recent months. Obama startled reporters on Tuesday by seeming to encourage stock buying after his top aides had said for weeks that they were unconcerned over short-term drops in the markets. "What you're now seeing is profit and earning ratios are starting to get to the point where buying stocks is a potentially good deal if you've got a long-term perspective on it," he said during a press availability in the Oval Office." Obama was more cautious than his aides in one regard—predicting when the economy will turn around. Asked if he saw such a recovery beginning in the summer, the fall or by the end of the year, he declined to be pinned down. "I don’t think that anybody has that kind of crystal ball. We are going through a wrenching process of de-leveraging in the financial sectors – not just here in the United States, but all around the world – that have profound consequences for Main Street," Obama told the Times. "It is going to take some time to work itself through." On Friday, Romer said she expected the economy's revival to begin later this year. "Sometime in the second half of the year...I expect that's when we'll start to see positive GDP growth again and a little after that we'll start to see employment going up rather than going down," she told CNBC. In the interview, Obama curtly dismissed a question asking if he is a socialist, as some Republican lawmakers and commentators have asserted. "The answer would be no," Obama said. He went on to argue that the budget plan he set out last month is remarkably restrained. "Let’s just take a look at what we’ve done....That part of the budget that doesn’t include entitlements and doesn’t include defense – that we have the most control over – we’re actually setting on a downward trajectory in terms of percentage of G.D.P. So we’re making more tough choices in terms of eliminating programs and cutting back on spending than any administration has done in a very long time," he declared. One of the Times journalists, Jeff Zeleny, tried to ask if there would be "anything wrong" with acknowledging that he was a Socialist. Obama declined to take the bait, but clearly bristled at the "socialist" label. He called the newspaper back later to suggest the label, would be better applied to his predecessor, President Bush. "It was hard for me to believe that you were entirely serious about that socialist question. I did think it might be useful to point out that it wasn’t under me that we started buying a bunch of shares of banks. It wasn’t on my watch," Obama said in the follow-up call. "And it wasn’t on my watch that we passed a massive new entitlement – the prescription drug plan without a source of funding. And so I think it’s important just to note when you start hearing folks throw these words around that we’ve actually been operating in a way that has been entirely consistent with free-market principles and that some of the same folks who are throwing the word socialist around can’t say the same." 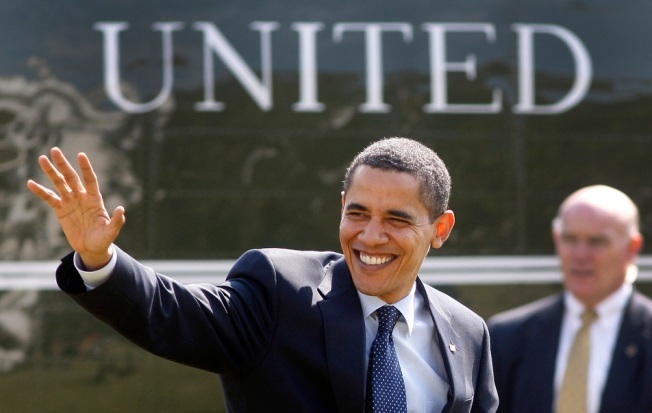 Obama declined to criticize Bush by name but the new president underscored that he had no desire to be undertaking a major intervention in the banking and investment sectors. "I constantly try to emphasize to people if that coming in, the market was doing fine, nobody would be happier than me to stay out of it," Obama said. eve that you were entirely serious about that socialist question. I did think it might be useful to point out that it wasn’t under me that we started buying a bunch of shares of banks. It wasn’t on my watch," Obama said in the follow-up call. "And it wasn’t on my watch that we passed a massive new entitlement – the prescription drug plan without a source of funding. And so I think it’s important just to note when you start hearing folks throw these words around that we’ve actually been operating in a way that has been entirely consistent with free-market principles and that some of the same folks who are throwing the word socialist around can’t say the same."